Add some extra comfort to your outdoor furniture with comfortable pillows and cushions. Our selection of decorative outdoor furniture pillows and replacement cushions are a great addition and will make your outdoor living area more inviting for family and friends. If you have questions regarding our selection of decorative pillows and cushions or any of the quality patio furniture we offer contact BBQGuys at 877-743-2269 and speak to a customer service representatives. 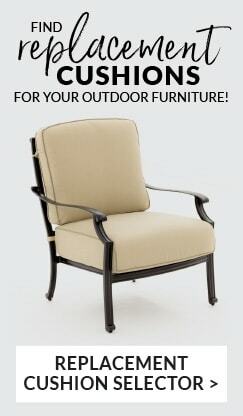 They can answer your outdoor furniture questions and assist you with your purchase.